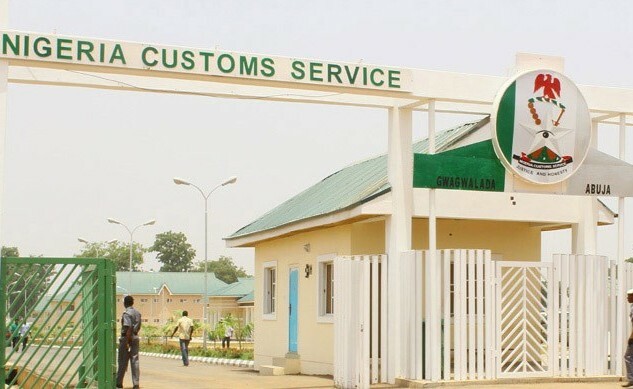 The Seme Area Command of the Nigeria Customs Service (NCS) has announced a revenue and seizure of contraband goods worth ₦1.055 billion in the month of December 2018. Controller of the command, Comptroller Muhammed Uba, who announced this in a chat with newsmen in Seme, said the command generated the sum of N623 billion, representing about 92 per cent of the command’s target allocated. Uba, said among the seized items recorded within the period included 22 fairly used vehicles and six means of conveyance, 6,753 bags of 50kg foreign rice which is equivalent to over 11 trailer truck valued at ₦157 million, 25 jerry cans of vegetable oil worth ₦573, 750 and 50kg bags of sugar with a Duty Paid Value ( DPV) ₦567, 000. Others were: 25 litres of PMS with DPV of ₦106,500, 21 cartons of tinned tomatoes worth ₦127,575, two sacks of used shoes worth ₦67,500 and 91 parcels of hard drugs/narcotics which he said have been handed over to National Drug Law Enforcement Agency (NDLEA). He said with the inauguration and subsequent movement of the command to the Joint Border Post of Seme-Krake, the operations of the command will be further enhanced through cooperation, collaboration and regional integration by facilitating the free movement of persons and services, reduction of trade and logistic costs, increasing inter- regional trade, increase of government revenue by eliminating trade barriers, reduction of delays, operating cost and availability of baseline data for impact assessment. “We, however, assure members of both local and business communities that the command will increase dialogue, enlightenment and robust stakeholder engagements for seamless operations through the modern Joint Border Post.